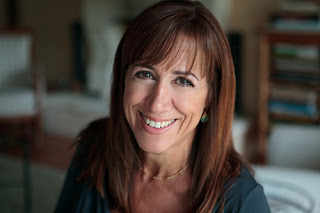 I asked author Ellen Sussman when did you start to feel like a writer? This is It. Right now. I feel like a writer. It’s true that I’ve been writing for many years. I made the decision to be a writer when I was six. (Really.) I stubbornly kept writing even when I received a boatload of rejection letters. I’ve now published three novels and two anthologies. But this is my time. 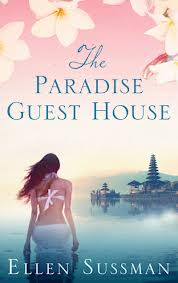 Right now I’m waiting for The Paradise Guest House to be published, both in the UK and in the U.S. Pub date is just a week or two away which makes me thrilled and terrified. I’m distracting myself by writing the next novel. It’s already sold and will be published a year from this summer. French Lessons, my last novel, is still selling well. Wow. I couldn’t have dreamed up a better moment for my writing life. I’m making a living as a writer, I love it, and I’m publishing one book after another. I worked long and hard for this moment. And I’m not going to miss the fun of it. I know how difficult it is to succeed as a writer. I feel extraordinarily lucky. And yes, I work very very hard at what I do. These good times might not last so I’m not going to wait for better times. I’m going to love every moment of Right Now. Ellen Sussman is the author of The Paradise Guest House, which is available now. You can see my review here.